When I celebrated my first American Thanksgiving, I discovered that pilgrims and Native Americans may be the historical symbols of the holiday, but football is the down home one. 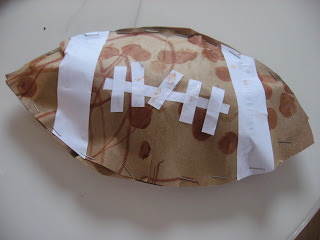 So during a play date with a fellow football fan, we made these fun footballs. Gather your materials. 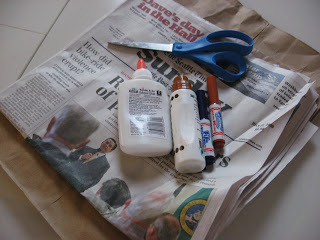 You will need one brown paper grocery bag, some newspaper, a stapler, some white paper, glue, scissors and brown paint or markers. 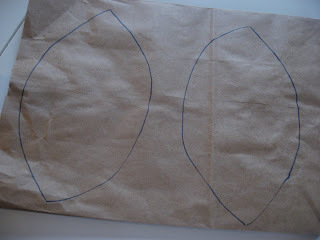 Draw two footballs on the grocery bag, do not cut out. 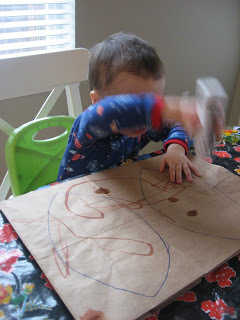 Have your child color or paint the football brown. Let dry. 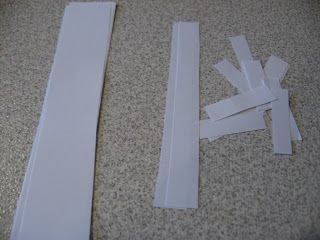 While they do that, cut out two thick stripes, one think line and six short rectangles out of the white paper. These will be the laces and bands on the ball. 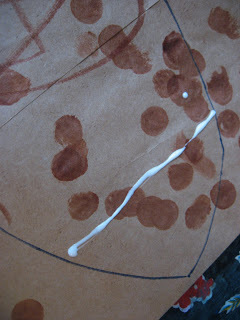 I have a bunch in the photo because I had two little men making footballs! 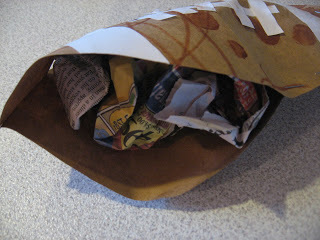 Hand your child some newspaper and start crumpling it into balls. 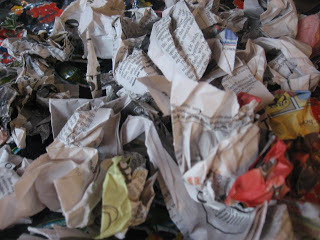 Both boys were not into crumpling the paper, which surprised me, maybe they are still young, older kids love it, just watch out a few newspaper balls typically end up in the air! Time to glue, I usually put the glue on so my son knows where to put the laces and bands. Cut the football out and start stapling, don’t staple it all the way, though. Now staple it all the way! 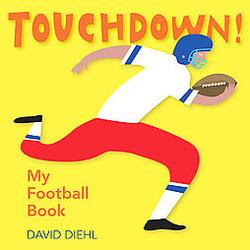 ” Touchdown: My Football Book” by David Diehl is a short, to the point and completely entertaining little book. It explains so much about football in the absolute easiest ways. My son has started to show a love of football, helmets and tackling and this book is a great injury free way to harness that love! 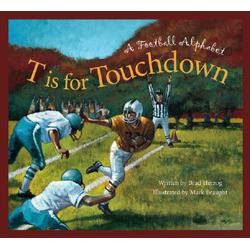 ” T is for Touchdown: A Football Alphabet” by Brad Herzog is a beautiful book that will delight even those of us who are never happy to see football season start. I admit even being an anti-fan this book was fun and full of information that even a football scrooge like myself can appreciate. Also, it’s easy to read simply the letters and look at the pictures for little ones and has genuinely interesting blurbs for each page for older children. Next Post: What A Feast ! 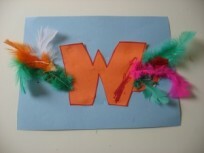 Wow, my nephew would love that craft! Loving this! 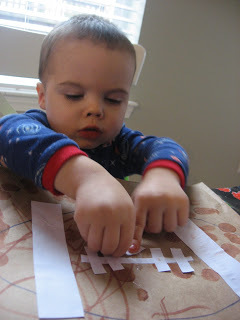 Will be a good craft for my son to make with his uncle on Thanksgiving!